Mystical. Magical. Wondrous. Those probably aren’t words you would use to describe food (unless you’re a foodie like us! ), but the creative minds of PopSugar have shared a recipe that might convince you otherwise! 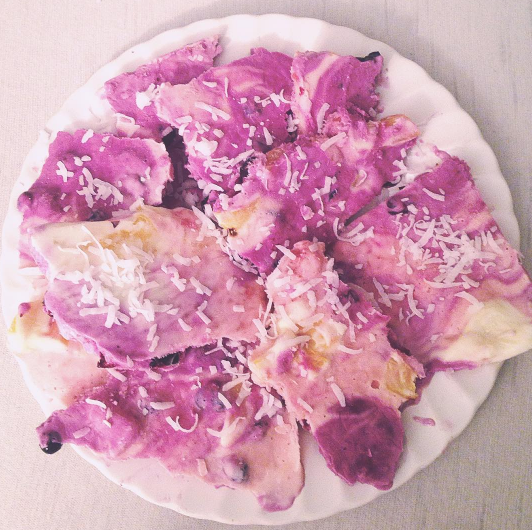 Though it may seem like it’s too good to be true, healthy UNICORN BARK is what we’ve all been waiting for. Move over, peppermint bark. There’s a new sheriff in town. In addition to being jam-packed with healthy ingredients like fruit and Greek yogurt, this unicorn bark is extremely easy to make! The only catch is you have to wait two hours before you can eat it. Almonds make a great addition, too! If traditional, sugary bark is more your thing, we ALSO have you covered. Complete with sugar pearls, edible glitter, and sprinkles, this recipe from PopSugar follows a familiar approach to bark. Largely consisting of either white (or milk) chocolate, this candy is sure to soothe your sweet tooth. Who doesn’t need more glitter in their lives, right? And, if this unicorn bark just isn’t magical enough, there are plenty of unicorn related food items to go around. Unicorn hot chocolate and unicorn cake, for starters! So, go ahead. Get started on your magical, mystical, and wondrous dishes!